While UCLA Luskin School of Public Affairs students represent a wide variety of educational backgrounds and experiences, they share a reputation for motivation and passion for their chosen fields. 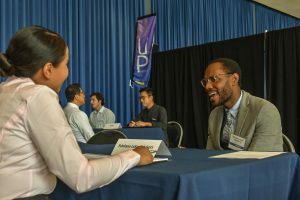 Recognizing this, more than 50 companies and organizations participated in the school’s 5th annual Career Fair held recently at UCLA’s Ackerman Grand Ballroom. 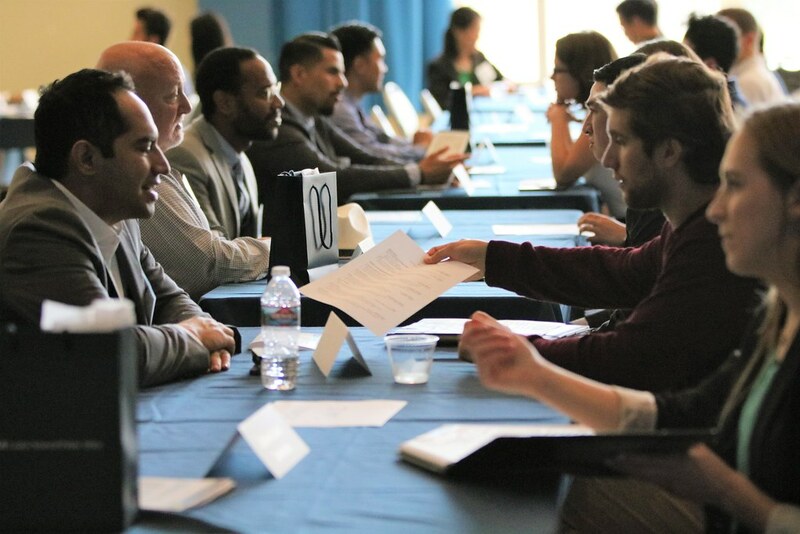 VC Powe, director of Career Services and Leadership Development at Luskin, spoke highly of the diverse expertise of the students from the Public Policy, Social Welfare and Urban Planning programs offered at Luskin. 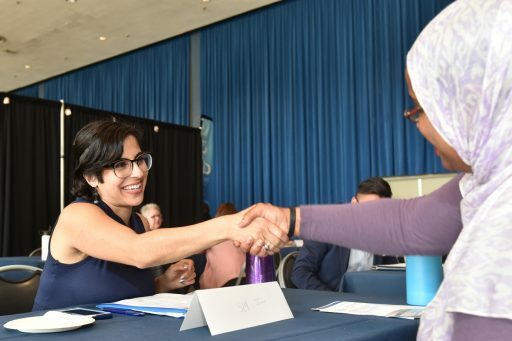 The Luskin Career Fair, which has grown significantly over the years, partnered with the UCLA Career Center and the School of Public Health to attract a larger crowd from a broader range of disciplines. 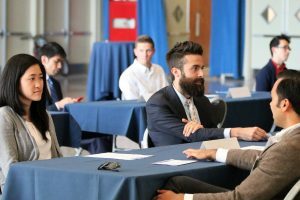 Both the public and private sectors were represented, with each company seeking students with specific skill sets from the school’s three departments. With the economy still recovering from the Great Recession, the job market remains competitive for recent graduates. Representatives from local organizations such as Heal the Bay and Tree People attracted students with backgrounds in environmental science and policy. 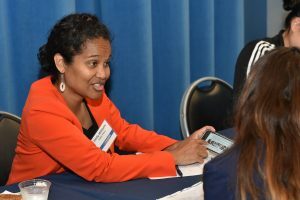 Major U.S. organizations, such as AECOM, that serve clients and countries around the world provided opportunities in urban planning and transportation. Opportunities and information in the financial sector — from private firms to government agencies — also were available to Luskin students. 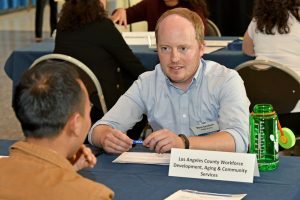 Jimmy Tran, who is pursuing both Master of Urban and Regional Planning (MURP) and Master of Public Health (MPH) degrees at UCLA, said he hoped to find a niche for his studies. 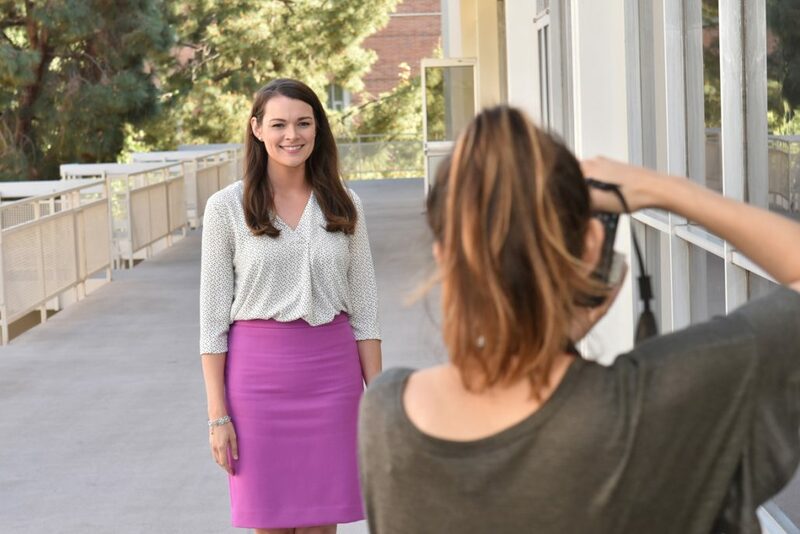 Many Luskin students gain valuable experience in a variety of careers before embarking on their graduate studies. 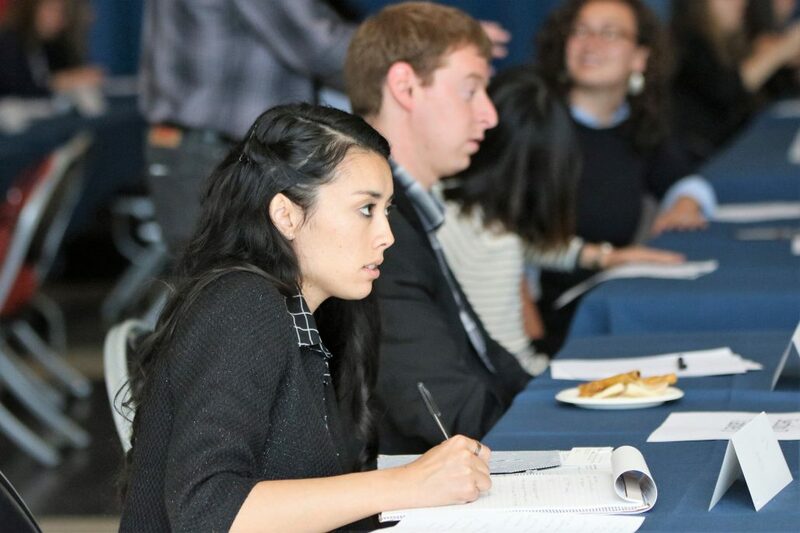 Tae Kang, a second-year Master of Public Policy (MPP) student, began working as a teacher before starting his studies in public policy. “What I realized by serving as a teacher at the high school and middle school levels, especially in Inglewood, was how much improving our schools on a practical, ground-floor level is necessary for the improvement of our society,” Kang said. 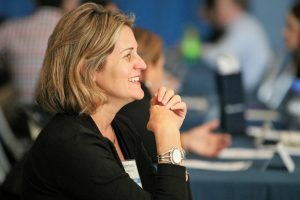 For students in the Master of Social Welfare (MSW) program, gaining information about organizations and companies linked to social work is particularly important as they learn about agencies that work both at the individual level with small companies and on macro-level policy issues with cities.